When the first issue of Starlog came out in the July of 1976 (see the cover here), fans like me didn't just embrace it, we ran up to it on the magazine rack and placed wet sloppy kisses over it as we wept for joy. 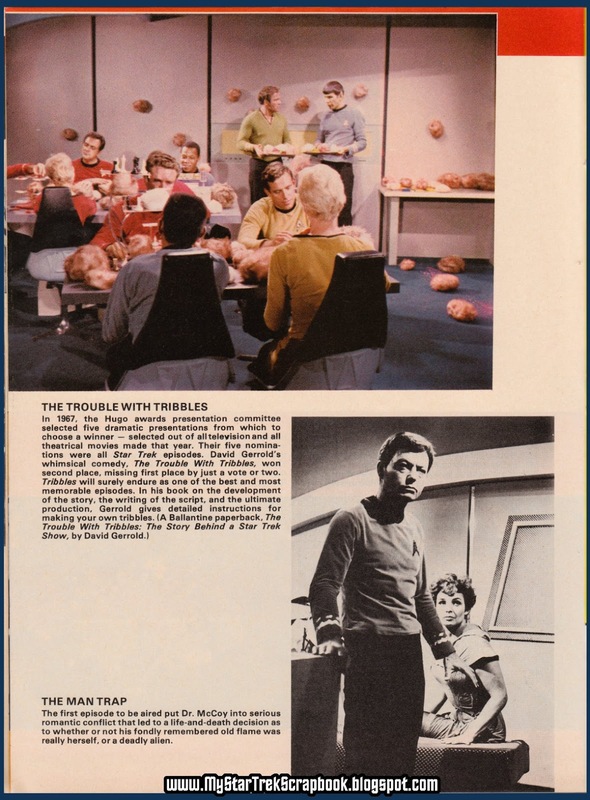 Here, at last, was a regular monthly magazine devoted to Star Trek and science fiction film and TV! 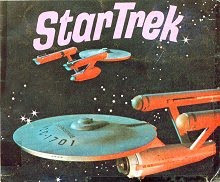 And with an 18 page COLOR Trek section... it was almost too much to believe. This was back when color photos of the show were hard to come by in a magazine... at least until the first Giant Star Trek Poster Book came out a few months later. 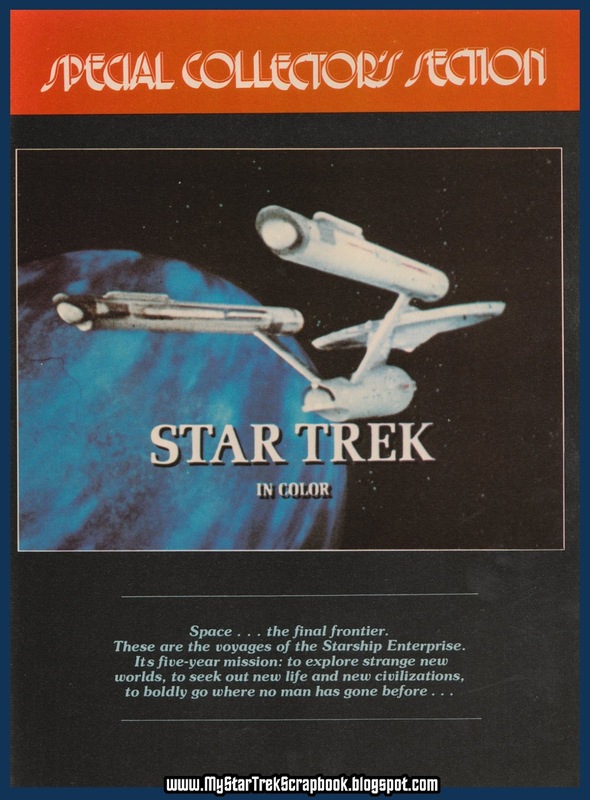 1976 really was a watershed year for Trek-oriented publications. 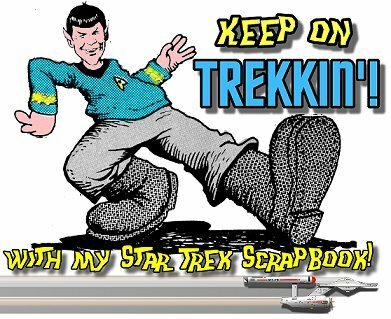 It seemed to be the year that Trek fandom really blossomed and the phenomenon became something more public. I have posted material from this first issue before; here, here, here and here. But this time I am posting the color section that excited me so much when I saw it. 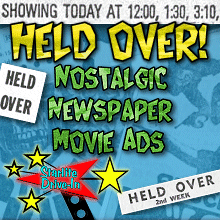 It's probably hard for today's fan to grasp just how exciting this kind of thing was to us back then, but it's how it was. 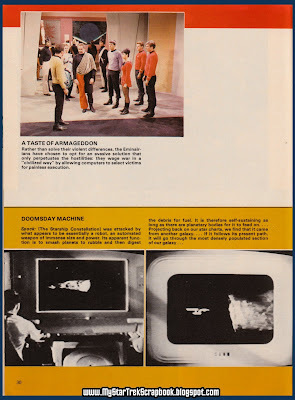 In fact, the magazine itself resorted to photographing the show off of a TV set for the sequence of images from "The Doomsday Machine," something I had done with my Polaroid instant camera. 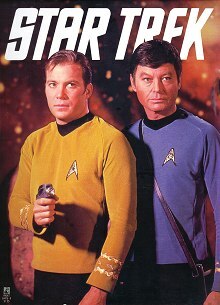 Back then, it was the only way we could "screen capture" images from our favorite show. Now, we can put the disc in a computer and grab all the frames we want. I'm presenting the 16-page color section in two parts, so here goes part one... enjoy! I remember where I got my copy. 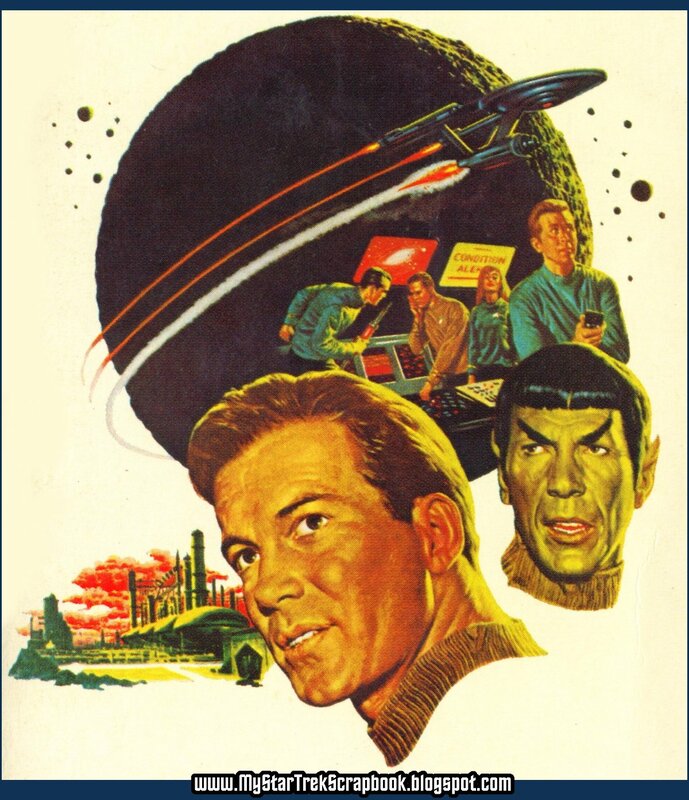 Indeed, anything Trek was rare. 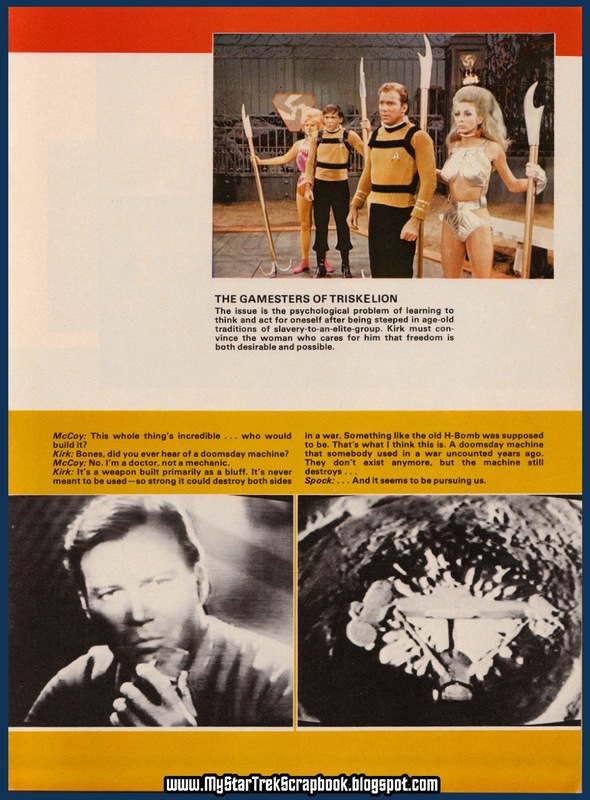 Before Starlog, the Monster Times was about the best source for Trekdom! Oh, yes. I loved me some TMT. Nothing gave me a tingle of excitement quite like finding a new issue on the stands for several years starting in 1973!!! 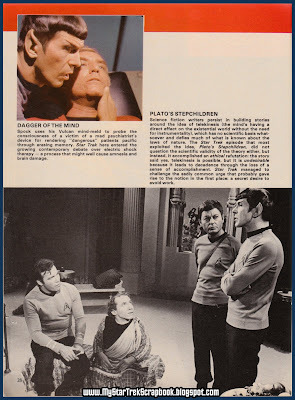 How can Spock resist those lovely, bewitching Romulan Commander eyes? Its moments like these that we remember. 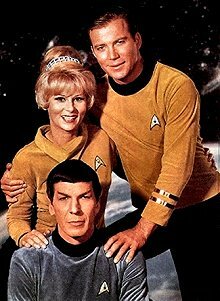 I agree about Joanne Linville, her Romulan Commander was a hottie! And thanks so much for the award!!! Frederick, I loved the Starlog poster books! That magazine is still the greatest sci-fi fan magazine ever. Too bad the Internet killed it. Thanks for the memories. thanks for commenting! 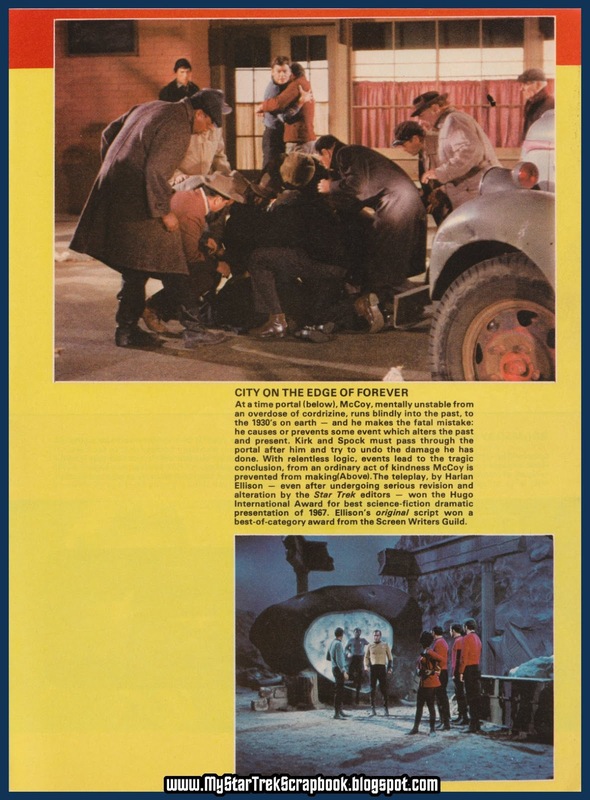 It was the main source for the SF movie and TV news back then. I enjoy taking mine out and going through them now as I get ready to post material for the blogs. Thank you for posting all these long-ago printed publications. They are priceless. 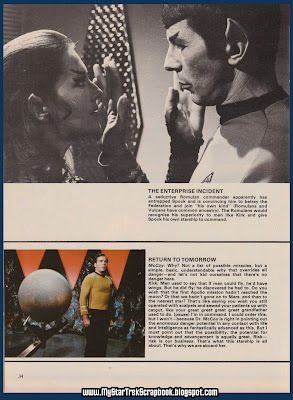 On another note, I read about Gene Roddenberry's comment on why they never restarted the TOS TV series. 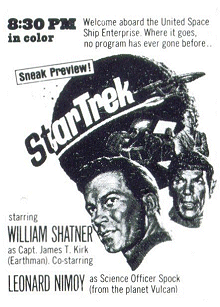 I think he mentioned that the actors had become legends after the popularity of the reruns. That was a real nugget! Thanks for commenting, glad you are enjoying the blog! I read that also, it was funny that one reason they couldn't get the leads to come back at an affordable price was that the show had made them so famous and worth more! Ironic. 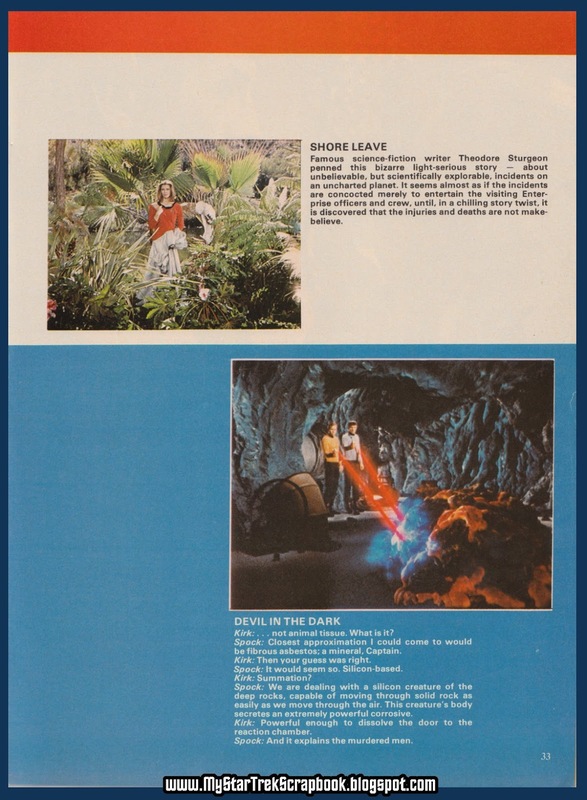 Ahhh...1976. 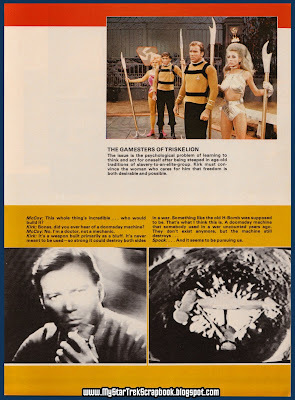 Trek was 10 years old, and I could not be a bigger fan, so seeing Starlog #1 was a mindblower. 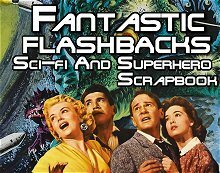 I recall the other fantasy mags of the period (Famous Monsters, Marvel's Monsters of the Movies, Cinefantastique, etc.) 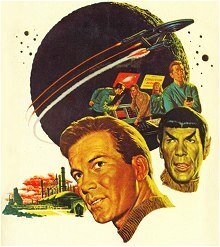 were not dedicating covers to classic Trek, so that cover was a big thrill/hook for my young mind! That was a great time to be a ST fan. 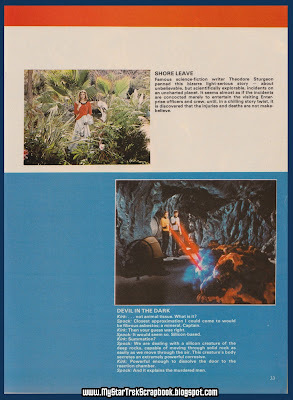 Thanks for posting these articles from Starlog #1. I didn’t discover the magazine until #3, but fell in love with it immediately. I eventually had a subscription for the magazine for many years. 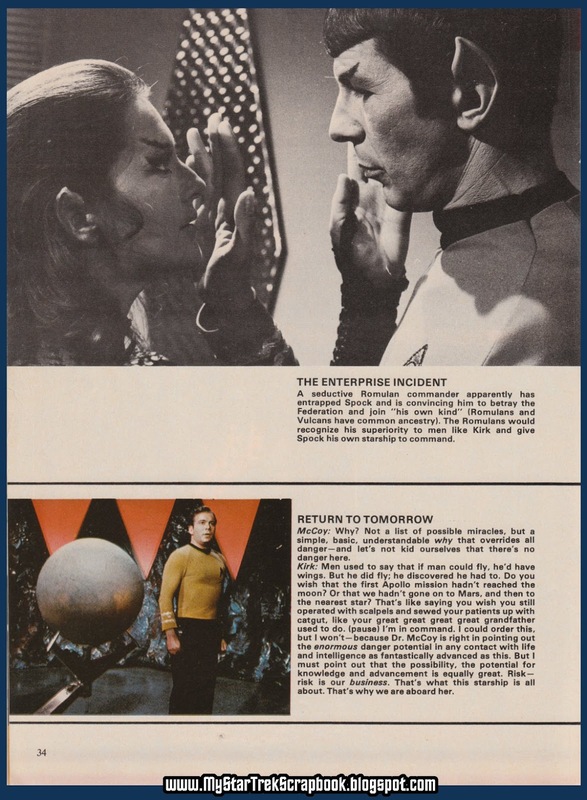 Ironically, #3 had an article about the early ST conventions and mentions the NYC convention in 1974 which I had attended. (You have it on your site.) Aside from seeing many of the ST stars and personalities, I clearly remember the problems with the NYC Fire Marshall demanding no chairs be placed in the isle ways. You didn’t dare leave your seat to go to the restroom, because when you got back it was standing room only. It was the first of a half dozen conventions I’ve attended and the most exciting. 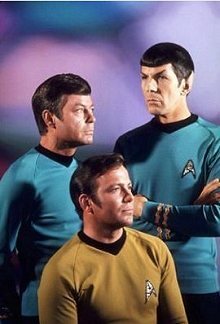 Having just ordered our starfleet outfits from Lincoln Enterprises, my buddy and I had to dress up as Kirk and Spock for an upcoming parade. 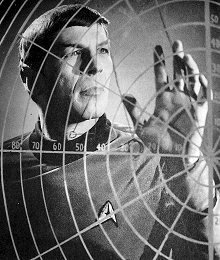 Since I was Spock, my mom had to make my ears out of tan masking tape, and used several of the closeup pics in this ish to pull it off. Suffice to say, at 11yrs of age, our costumes with the AMT landing party set were a hit. sounds like a wonderful memory to have, and having a mother that actually helped you do it is special. I never had that kind of thing. Hey - no Scrapbook updates in a long while. Still with us?